Join Bolivia’s largest Google Developer Community conference, taking place November 17th, 9:00am to 6:00pm. World-class speakers and tech experts will gather to participate in discussions on the latest trends and themes in the Google Developer Community. 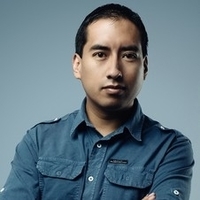 Arnold Guzmán, a Toptal developer, will deliver a talk titled Virtual Reality is Here to Stay. Join Arnold as he explains the path to becoming a VR developer, and showcases a project for Oculus Rift. Your message to Arnold was sent.